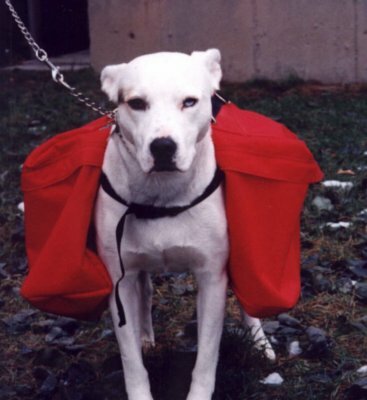 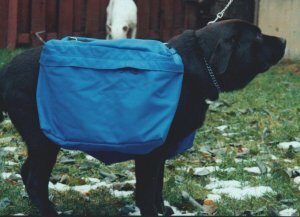 Our 3 piece dog packs for your working dog comes with heavy duty bottoms and modular so makes for easier loading of heavier loads. 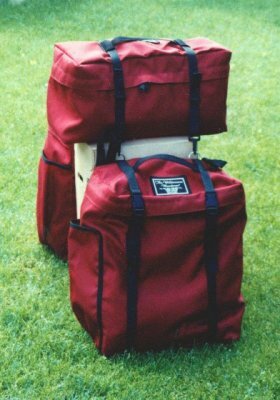 Our 1 piece trainer packs in different colors for light duty loads. 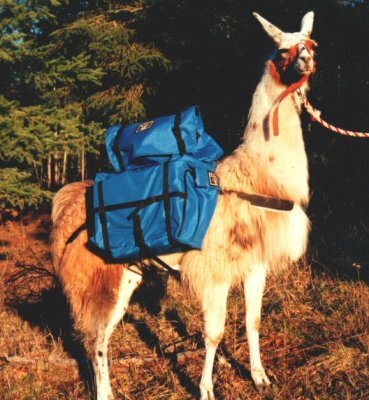 Our standard Llama packs come with 2 panniers and a saddle. 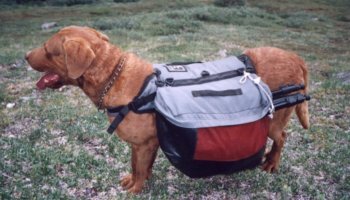 They have the light weight of a soft pack but with the support of the heavier rigid saddles. 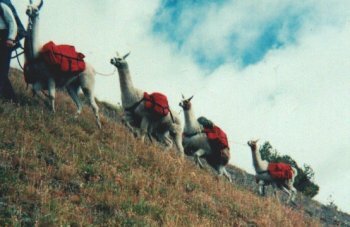 The 3rd top pack is optional. 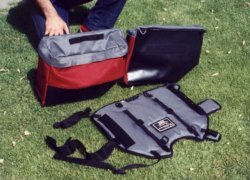 Custom made panniers for your hard sawbuck saddles available!